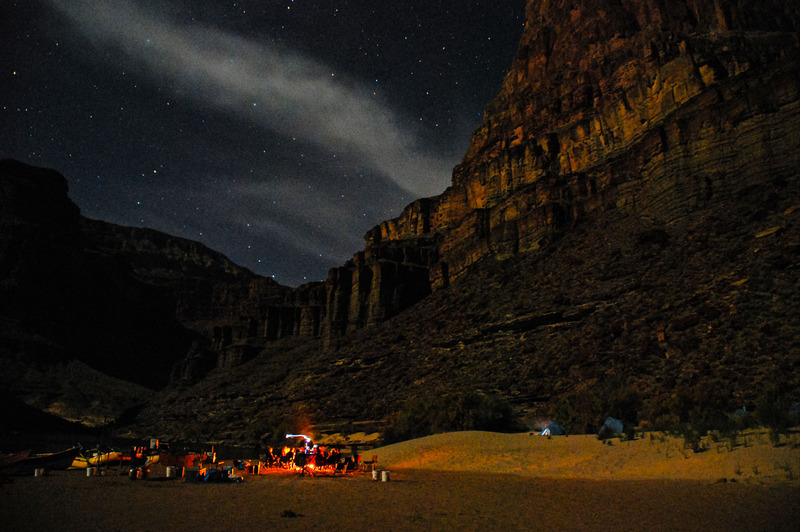 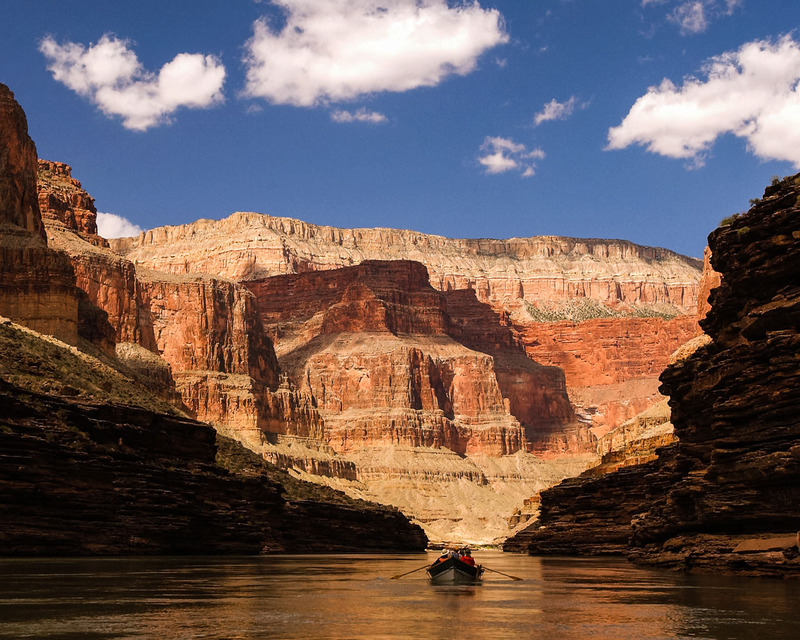 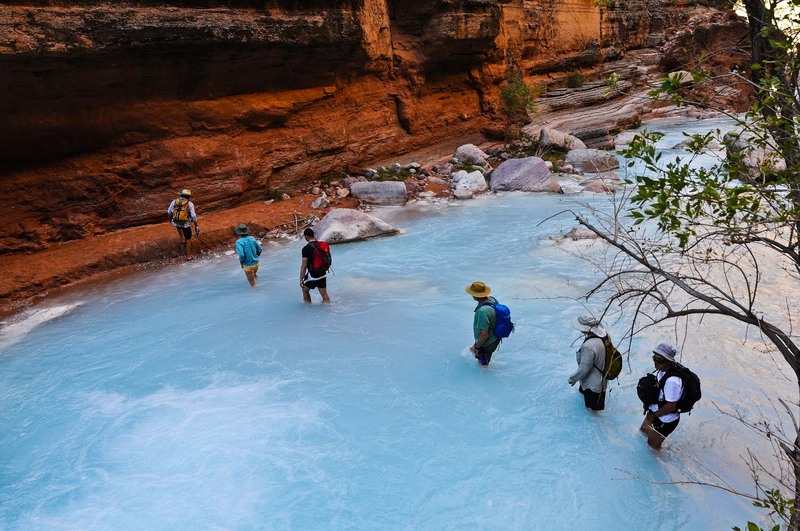 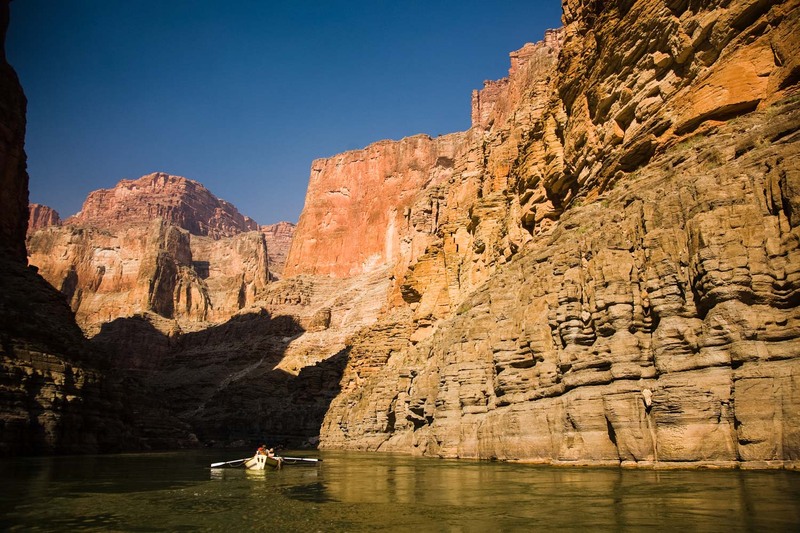 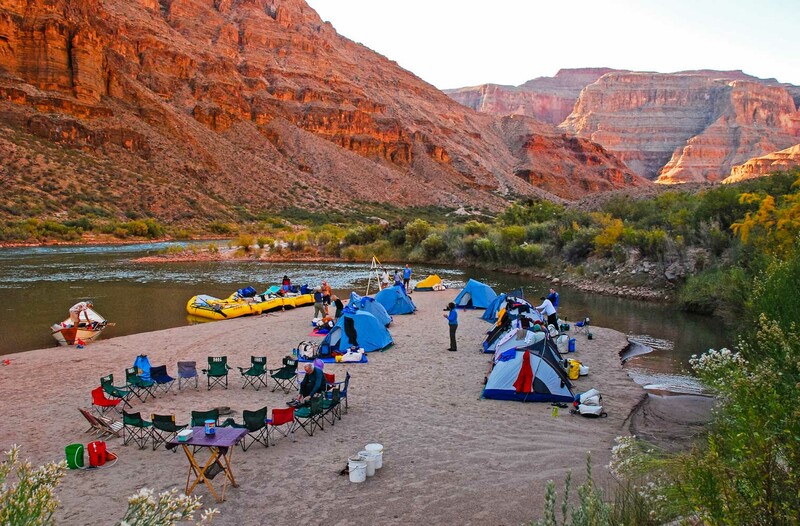 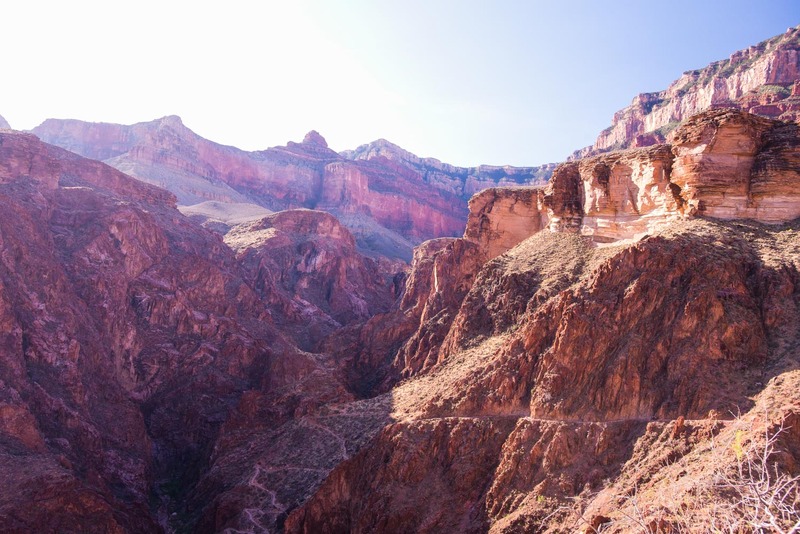 Beginning at the South Rim of the Grand Canyon, you hike 9.7 miles deep into the canyon down the beautiful Bright Angel Trail where we meet you at the Colorado River’s edge. 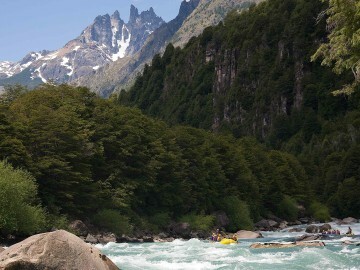 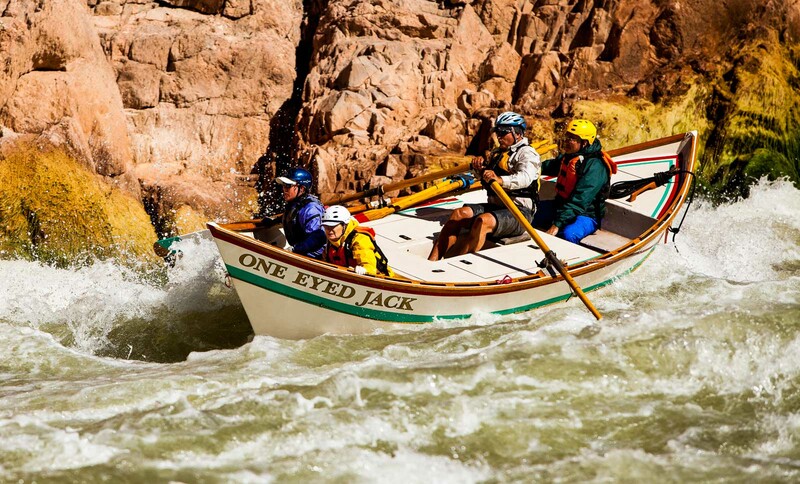 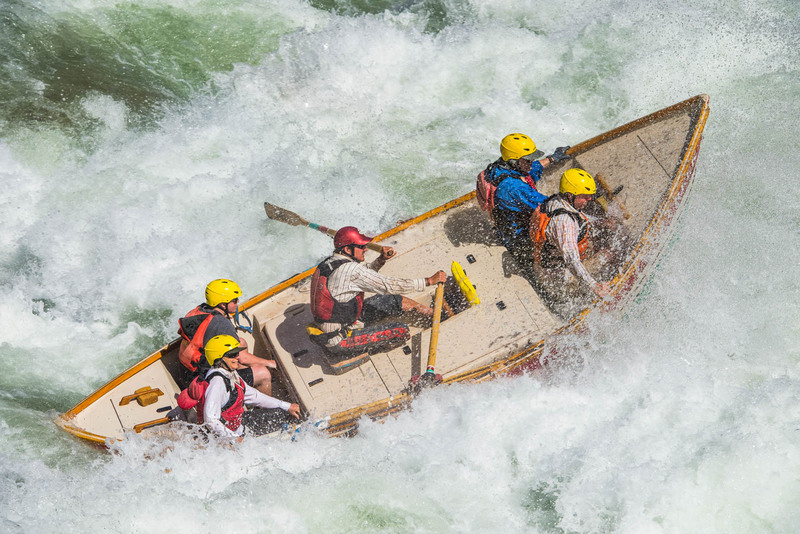 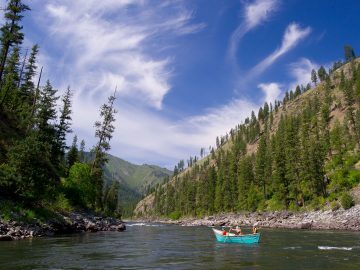 After repacking your river gear, we launch our dories and head straight into the biggest rapids on the Colorado to finish the Upper Granite Gorge section of whitewater. 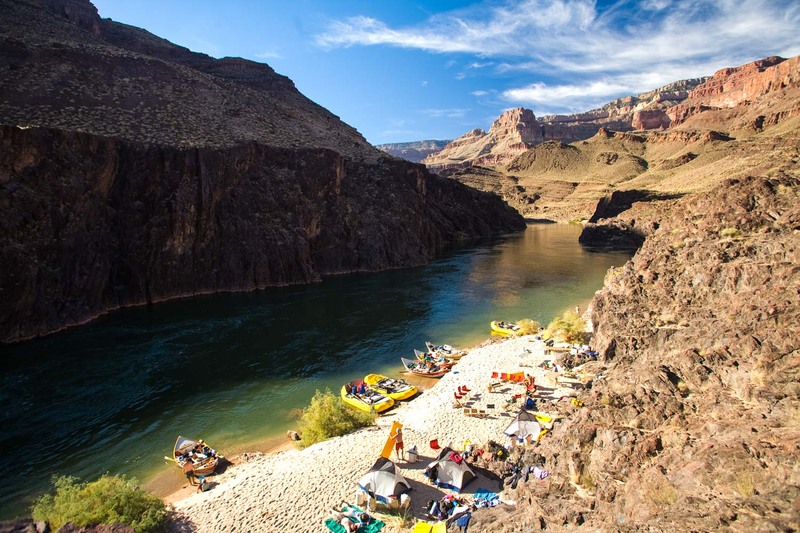 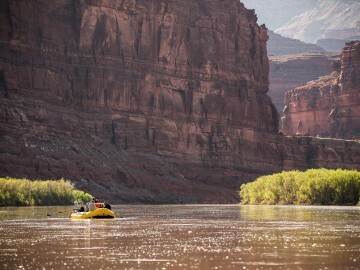 Following this exciting start, we experience a relaxing week of visiting beautiful side streams and waterfalls, watching the rock layers rise and fall and running some of the larger Colorado River rapids fairly regularly. 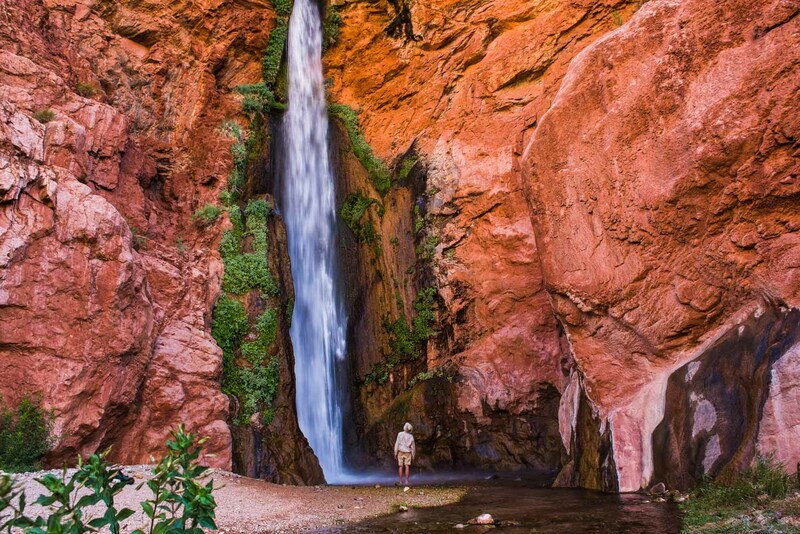 Spectacular side hikes pierce the shadows of the deep Inner Gorge of the Canyon: the emerald paradise of Elves Chasm, the 100-foot drop of Deer Creek Falls, limestone chutes of Matkatamiba Canyon, blue-green pools and numerous waterfalls of Havasu Canyon, and many others. 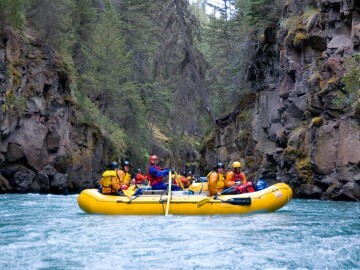 We cap off by running the notorious Lava Falls – North America’s and the Grand Canyon’s most renowned big drop. 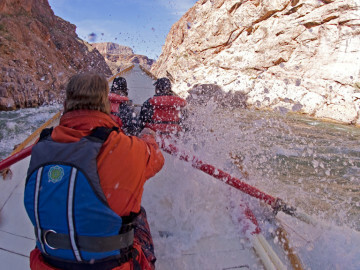 On the final day we arrive at Whitmore Wash where a helicopter whisks you to the rim to continue by small plane back to Las Vegas.